Avoid problems on Wood Packing in freight from USA. ISPM 15. 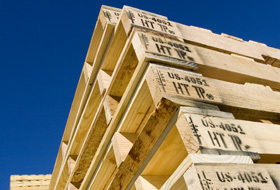 Wood packing restrictions in international shipping boxes, crates, and pallets from the USA, also known as ISPM 15 rules, apply on shipping cargo from the USA overseas that contains wooden materials in the packing. ISPM 15 rules relating to preventing the spread of plant pests and diseases throughout the world, when shipping international freight using packing materials and supply containing wood. These international shipping regulations have been originated by the International Plant Protection Convention (IPPC - https://www.ippc.int/). ISPM 15 rules apply on shipping boxes, crates, and pallets that contains wood packaging material: wooden boxes, wooden pallets, wooden crates, dunnages, drums, wood cases, etc. In certain circumstances, other restrictions related to pests control in international cargo transportation from the USA may apply on cargo itself. Most restricted countries are Australia and New Zealand. As an example, you may refer to the Australian Government Department of Agriculture and Water Resources website. ISPM15 requires that all international freight shipping from the USA using any species of raw wood packaging must be fumigated or heat treated. The treatment must be done before any boxes, crates or pallets will be submitted to the shipping from the USA to kill insects or fungus. All wood packing materials used in international shipping from the USA must be stamped with approved by IPPC stamps. All shipping freight from the USA overseas will be checked in respect of compliance with the ISPM15 regulations before the release to depart from the U.S. and at a time of entry to a participating to IPPC country. 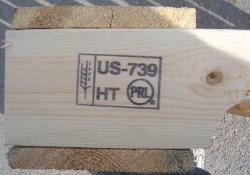 Below are samples of IPPS stamps on wooden pallets used on shipping cargo from the USA. The same stamps required to ship from USA boxes and crates that contain wood packing materials unless a fumigation certificate is attached. Sometimes officials at the origin and/or destination countries may request fumigation certificates even though freight packing is stamped. 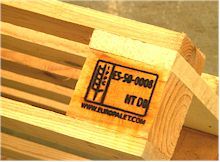 These ISPM 15 on shipping boxes, crates, and pallets packing made with a use of raw wood prove such packaging has been heating treated and comply with ISPM 15 regulations. Failure to comply with ISPM15 rules may result in serious problems in your business on shipping freight from the USA overseas. If you are shipping boxes, crates or pallets from USA packed with natural wood without ISPM15 stamps, then it may be refused to the shipping from the USA and turned back to be fumigated or repacked before to get the release. The United States of America has implemented ISPM 15 on all shipping freight to the USA since 2010. All cargo entered into the United States, which does not comply with ISPM 15, will require immediate fumigation. Otherwise, it is prohibited to be entered into the U.S. and will be re-exported or destroyed. Participating in IPPC, the United States prohibits to ship boxes, crates, and pallets from the USA that contain not treated wood packing on the government level. All U.S. and not U.S. ocean freight carriers involved in shipping freight from the USA will check shipping boxes, crates and pallets on ISPM 15 to get a release for the shipping from the USA. Any problems, delays and/or increasing shipping cost on shipping cargo from USA that does not comply with ISPM 15 are shippers responsibility and on shopper's account. Any problems, delays and/or fees and penalties related to ISPM 15 occurred at destinations or during trans-shipping cargo from the USA are consignee's responsibilities and on consignee's account. Think ahead. Avoid problems related to ISPM 15 rules in your shipping freight from the USA. Actually, the ISPM 15 restrictions on shipping boxes, crates, and pallets from the USA overseas should not scare you. Most important is to understand that basically, the ISPM 15 rules regulate the way you pack your shipping cargo, but the cargo itself. I.e., it prohibits using non-manufactured wood packing materials (also called solid wood packaging materials or SWPM). Your cargo shipping from the USA is not a subject to ISPM 15. It does not apply to the commodity. Non-manufactured wood packing materials in respect of shipping boxes, crates and pallets from USA are defined as "wood packing other than comprised wholly of wood-based products such as plywood, particle board, oriented strand board, veneer, wood wool, etc., which has been manufactured using glue, heat, and pressure or a combination thereof". The easiest way to avoid problems related to the ISPM 15 rules is just DO NOT USE NON-MANUFACTURED WOOD PACKING MATERIALS IN SHIPPING FREIGHT FROM USA OVERSEAS. SHIP CARGO FROM USA ON CERTIFIED PALLETS, PACK YOUR CARGO WITH CARDBOARD, PLYWOOD, VENEER ETC ONLY or DO NOT USE WOOD IN YOUR PACKING AT ALL. USE PLASTIC SHIPPING SUPPLIES. Shipping cargo from the USA that is packed in cardboard shipping boxes complies with ISPM 15 regulations. You can purchase regular shipping boxes at U-Haul, Walmart, Office Depot, etc. 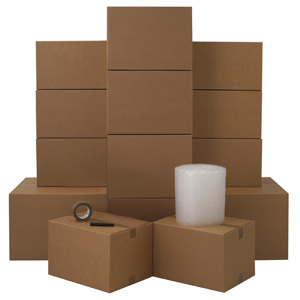 For extra protection, we recommend heavy-duty cardboard shipping boxes that are widely available online. Then you palletize your shipping boxes on certified or plastic pellets. Note that if you self-deliver your loose cardboard shipping boxes to an ocean freight carrier's terminal (CFS), then most of the time the CFS will properly palletize and shrink wrap your shipping boxes to the shipping from the USA for the fee $35-50 per pallet. Use the opportunity. Do not palletize shipping boxes by yourself. Deliver light shipping boxes to CFS and leave the palletizing to professionals. Besides, that loose shipping boxes are much easy to handle, most important that you will transfer responsibilities on ISPM 15 compliance to the CFS. Then you shipping boxes should not face any problems related to ISPM 15 during the shipping from the USA. If you palletize your shipping boxes for the shipping from the USA overseas on wooden pallets, then use ONLY ISPM 15 certified and stamped pallets. The same applies to ship crates from the USA. Do not use not-certified raw wood packing materials on shipping boxes, crates, and pallets from the USA overseas. Wood packaging supply wholly made of wood-based products, such as plywood, particle board, oriented strand board or veneer that have been created using glue, heat, and pressure or a combination thereof should be considered sufficiently processed to have eliminated the risk associated with the raw wood. It is unlikely to be infested by raw wood pests during its international shipping. Therefore should not be regulated and restricted by the ISPM 15 rules on shipping cargo from the USA overseas. However, if shipping crate is complex, then a proof of compliance with ISPM 15 may require anyway. Using plastic packing materials in shipping cargo from the USA that do not contain wood, makes the shipping exempt from ISPM 15 rules. If you are shipping freight from the USA stored on plastic pallets, in plastic cases or crates, then you should not worry about ISPM 15 at all. Such pallets, cases, and crates of different sizes and forms designed for shipping cargo from the USA overseas are widely available on the market. NOTE: The ISPM 15 regulations on shipping boxes, crates, and pallets from the USA overseas fall into two key areas: the shipping freight itself (1) and proper shipping documentation related to ISPM 15 (2). That means that besides proper packing of shipping cargo you should pay attention to ISPM 15 related documents. The documents have to be submitted to ocean freight carrier before the shipping from the USA. 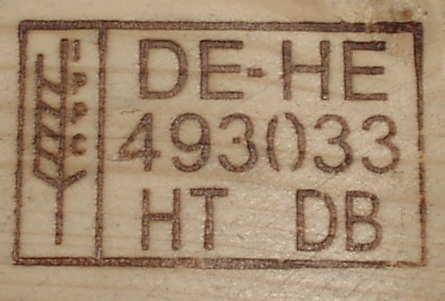 Different countries in the world have a different level of restrictions related to ISPM 15. For example, if you are shipping cargo from the USA to Australia or New Zealand, then your shipping boxes, crates and pallets, and ISPM 15 related documents will be checked especially strictly. Cargo trans-shipped via Hong Kong or Singapore most likely will be subject of ISPM 15 documentation verification as well. Types and forms of such documents may vary from country to country. 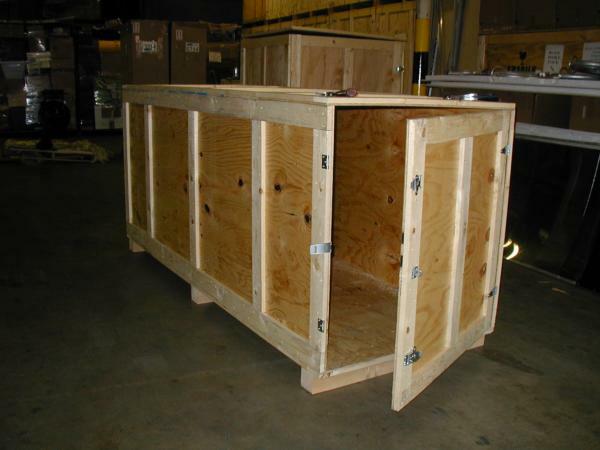 If you self-pack shipping boxes, crates or pallets to the shipping from the USA overseas using wood packing materials, then we suggest you find out the precise ISPM 15 requirements in your destination country by contacting related officials (customs or customs broker for example) in advance. You may try to discuss it with your destination country local consulate in U.S. Most of the time a fumigation certificate should be sufficient. You may download and see the form of Australian Wood-packing declaration on shipping boxes crates and pallets from the USA to Australia in this link. If you hire a professional packing company to prepare your cargo to the shipping from the USA or use an international moving company, then parties that take care of packing your shipping cargo from the USA must be aware of and comply with the ISPM 15 regulations. Ask them in advance. Once again, if you self-deliver your loose cardboard shipping boxes to an ocean freight carrier's terminal (CFS), then most of the time the CFS will properly palletize and shrink wrap your shipping boxes to the shipping from the USA for the fee $35-50 per pallet. Use the opportunity. Do not palletize shipping boxes by yourself. 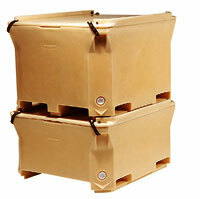 Deliver light shipping boxes to CFS and leave the palletizing to professionals. Besides, that loose shipping boxes are much easy to handle, most important that you will transfer responsibilities on ISPM 15 compliance on the CFS. Then you shipping boxes should not face any problems related to ISPM 15 during the shipping from the USA.